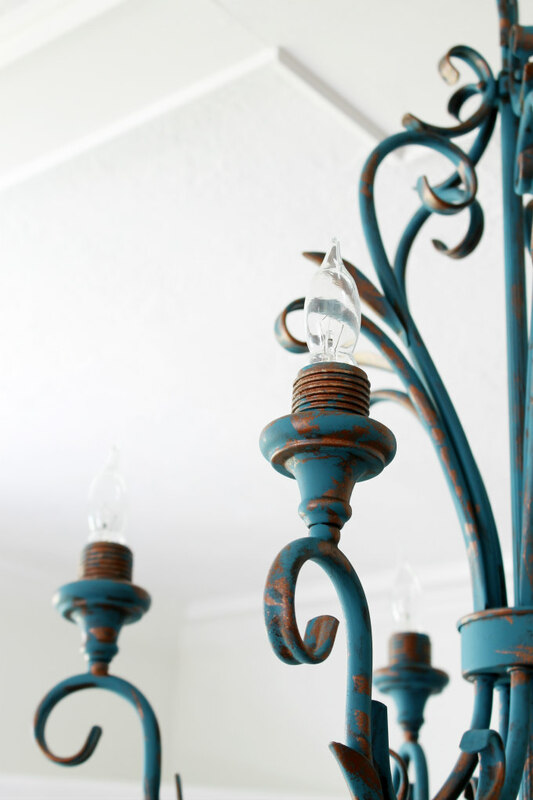 I have been busy working on a few projects in our dining room and today I want to share one of those projects with you. 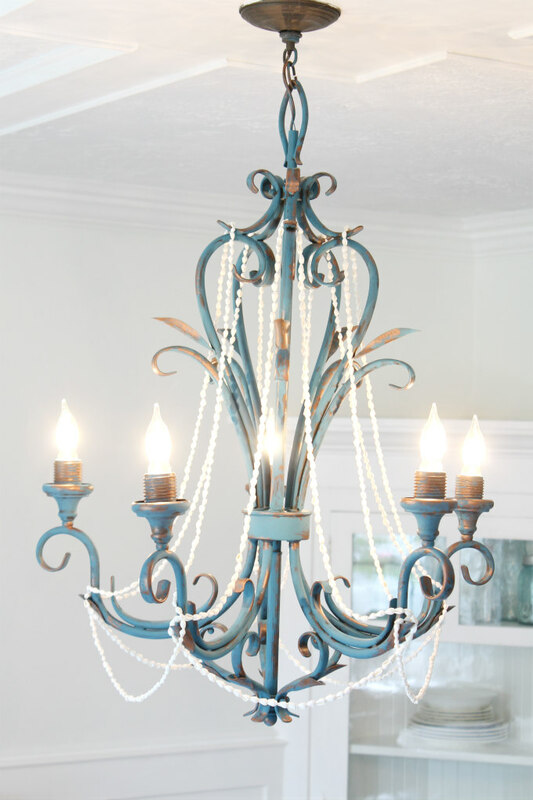 I gave our traditional chandelier a little beach-house inspired makeover and I think it turned out pretty darn cute. 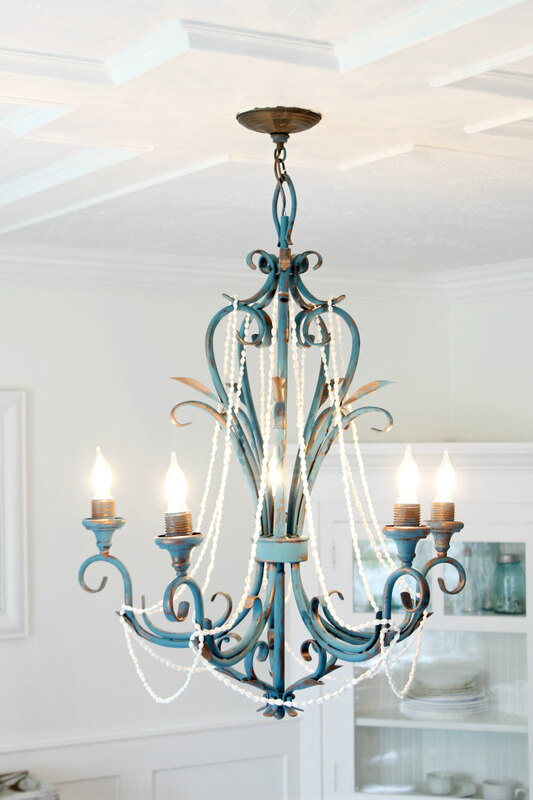 I never really liked this chandelier before now because it felt too traditional for my taste. 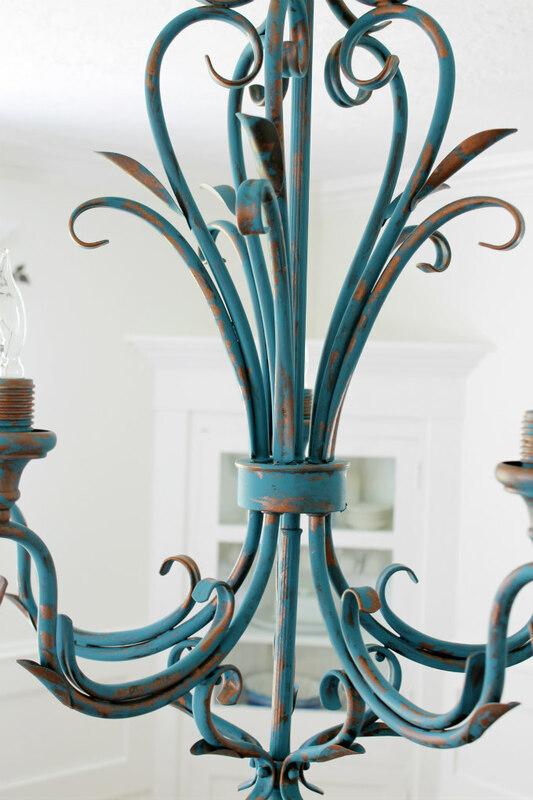 This is how the chandelier looked when we first bought our home back in 2013. 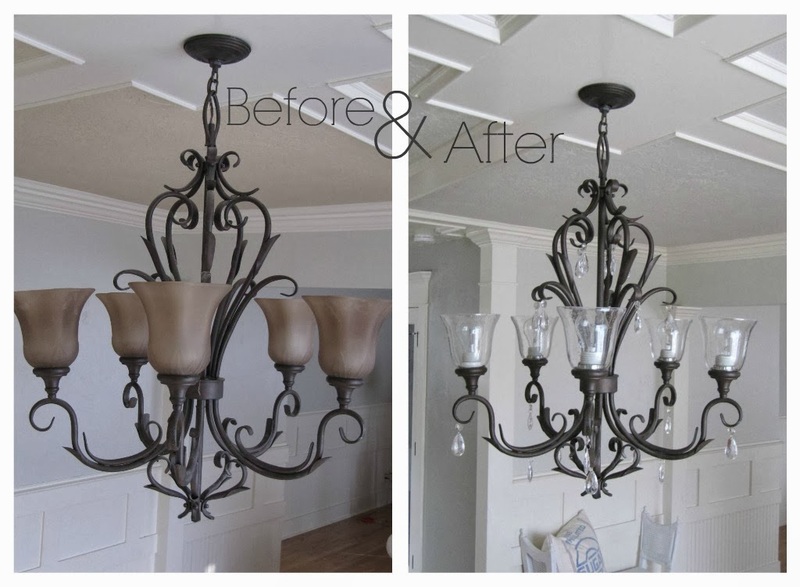 So right away I gave the chandelier a quick makeover. I replaced all of the dark shades with some simple glass ones. I also added some crystals to it to give it a little added sparkle. 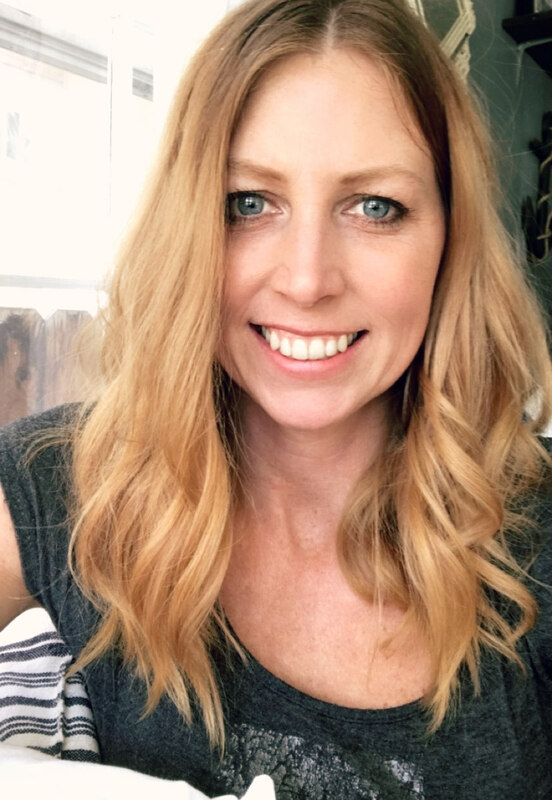 These simple changes were enough to make it some-what more my style and I've been okay living with it these past few years. I always figured eventually I'd just replace the chandelier with something more my style. I've had my eye on THIS pretty wood bead one for quite awhile, but I'm really not one to just go out and buy something new. Instead, I try to use what I have and make it better. So that's where a few bottles of craft paint come in handy. I bought both of these at Hobby Lobby. 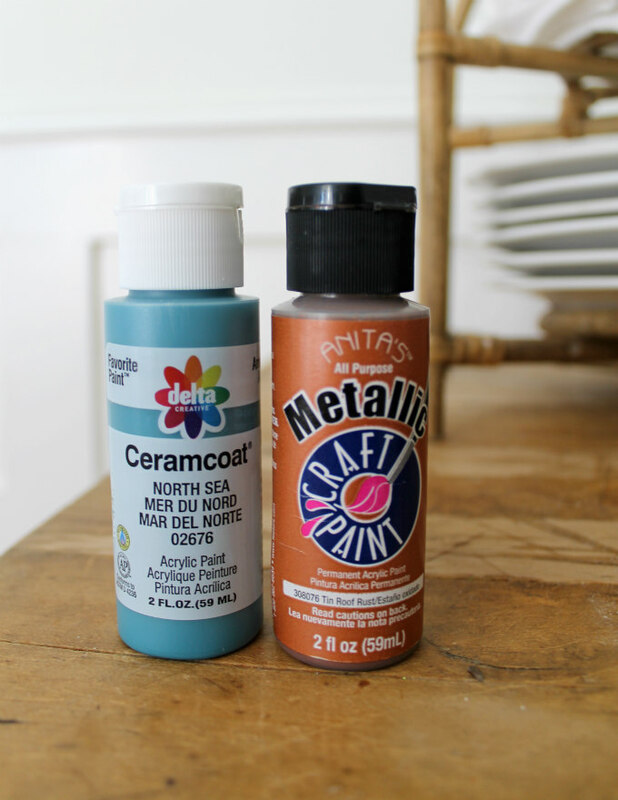 The blue is called, North Sea by Delta Creative, and the metallic is called, Tin Roof Rust by Anita's. 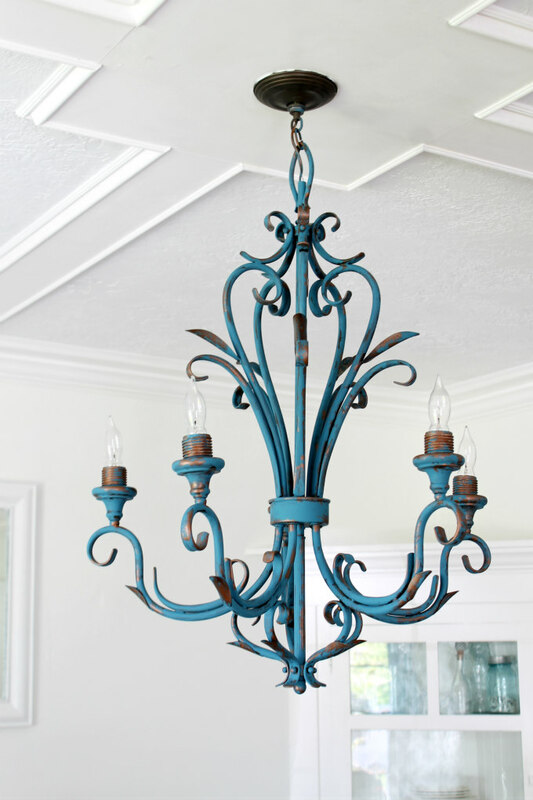 Using a sponge brush I first dabbed the blue paint onto the chandelier. I was going for a rustic-worn look here so I left some of the metal still showing. Next, I took the rust paint and dabbed it on here and there with a sponge brush to give it an aged look. I was really pleased with how realistic the rust paint looked. I'm sure I'll be using this paint again for future projects. I even painted the plastic light bulb sockets with a little extra of the rust color and I think you can't even tell they were a white plastic before. I picked up some pretty, clear, teardrop shaped light bulbs at the grocery store and chose to use them alone without a shade over them. And then just for fun, I added some of my long seashell necklaces to the chandelier. I think the seashells add a fun beach-house look which is more my style then what was hanging before. 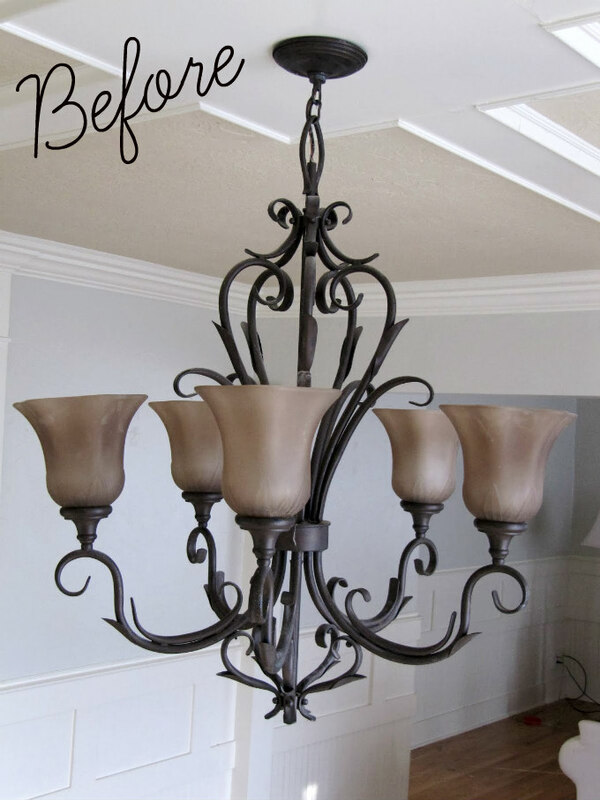 So if you happen to have a traditional chandelier similar to mine and are wanting to give it a simple makeover, then I hope that I have inspired you to do so today. Please let me know if you have any questions. Your blue with the rust paint is perfect. You did a great job making it look natural!